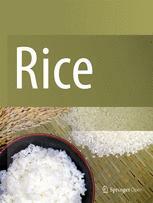 Rice is a peer-reviewed open access journal published under the brand SpringerOpen. Rice fills a critical need in basic and applied plant science journal publishing, offering the world’s only high-quality serial publication for reporting current advances in rice genetics, structural and functional genomics, comparative genomics, molecular biology and physiology, molecular breeding and comparative biology. Rice publishes review articles and original papers in all of the aforementioned areas and serves as the primary source of newly published information for researchers and students in rice and related research. The full text of all research articles is deposited in PubMed Central, the US National Library of Medicine's full-text repository of life science literature. The journal went open access in 2012, which means that all articles published since then are freely available online.